MONTREAL – Montreal Canadiens general manager Marc Bergevin announced on Tuesday that the team has agreed to terms on a two-year contract with forward Brian Flynn (2015-16 and 2016-17). “We're very pleased to have reached an agreement with Brian. A fast, versatile and reliable player, Brian bought into the team’s philosophy from the very first day. He brings the right attitude to the dressing room day in and day out, and has a professional approach to the game. 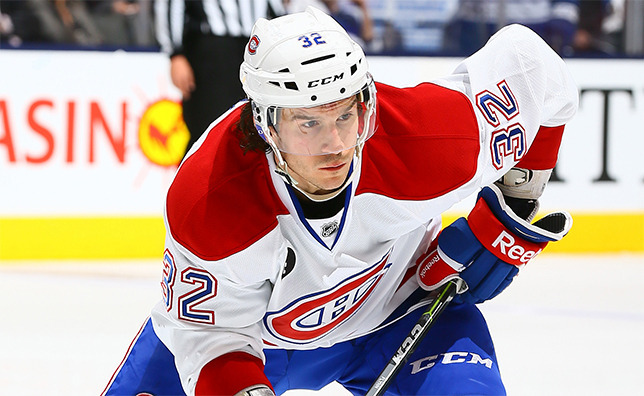 We are proud to have him among our group of forwards,” said general manager Marc Bergevin. Flynn, 26, recorded 17 points (5 goals, 12 assists) in 63 regular season games with the Buffalo Sabres and the Canadiens in 2014-15, averaging 14:54 of ice time per game. He totaled 82 shots on goal and was assessed eight penalty minutes. The 6’1’’ and 180 lbs centre appeared in six playoff games with the Canadiens, recording three points (1 goal, 2 assists). Since making his NHL debut back in 2012-13, Flynn has amassed 41 points (17 goals, 24 assists) in 168 NHL regular season games with Buffalo and Montreal. A former University of Maine Black Bear (ECAC and Hockey East), Flynn registered 156 points (69 goals, 87 assists) in 153 games in the collegiate ranks. A native of Lynnfield, Massachusetts, Flynn was acquired by the Canadiens from the Sabres on March 2, 2015 in return for a fifth round pick in the 2016 NHL Entry Draft.